June Bee Jamboree is this Saturday! 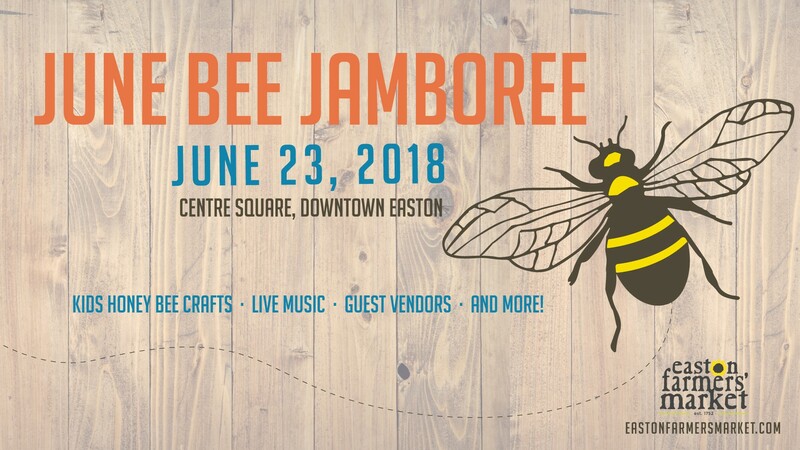 Pennsylvania’s Honey Queen, as well as the American Honey Queen, will join us and share information on beekeeping, display a mini hive, offer sweet recipes, kids crafts and honey sticks. Their tent will be a designated POP location for kids so be sure to have your little ones stop by and earn a bee sticker and a $1 in POP buck. Kids (and pups) can dress in their bee best for the day, and attend a Honey Bee Tea Party and special storytime with the Honey Queen at 11 a.m. ($3), or take part in the June Bee Parade at noon (free). In the event of rain, the tea party & parade will be held inside the Easton Public Market. 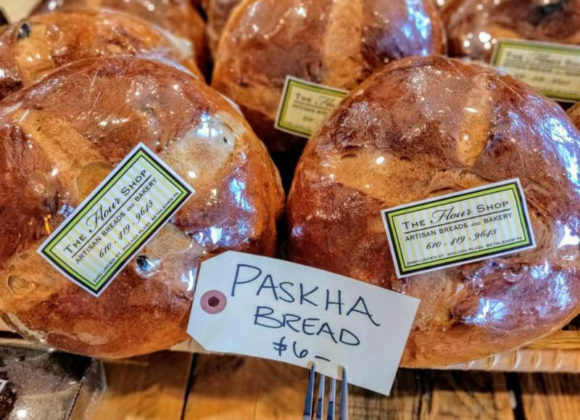 Stagecoach Orchard Apiaries’ “Honey Man” Peter Sliwka will host a beekeeping demo at 10:30 a.m. And Guest vendor Tassot Apiaries will sell their honey, beeswax candles, soap, lip balm and other products. And Shawnee Craft Brewing Company will feature its Apiarius honey ale at the Local Libations tent. Plus live music for kids with Miss Maggie Sings, prize giveaways, and $5 off all canvas Bee Totes!